Company Name: Guangzhou Super U Shop Fitting Co.,Ltd. 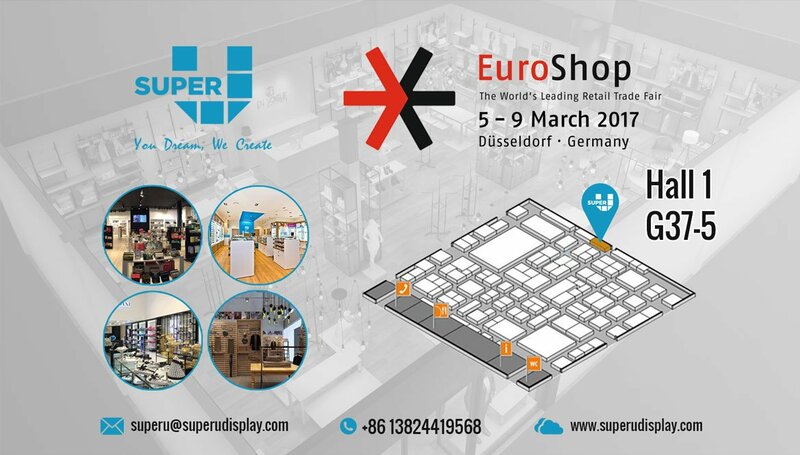 EuroShop is organized by Messe Dusseldorf GmbH, the Euroshop is one of the finest event for retail investments. Held at Dusseldorf Exhibition Centre, Nordrhein-Westfalen, Germany, the event will open new new business avenues for dealing with reputed professionals from all over the globe. This form collects your name and basic contact details so we can contact you regarding your enquiry. We don't use this data for other purposes or share it with any third parties.